I recently won my 2nd Dove/GMA award for producing and engineering the Instrumental Song of the Year "Rise Again". My song "Summer Fun" (Bijet, Dunn, Tough) that I co-wrote and produced was featured on the TV show "Nashville" August 2017 (Ep 522). My song "Showed Up For The Party" co-written with former production students Jordan Webb and Tre Houston, was featured the NBC show "Superstore" Ep21. You can hear the song around 15min in, after Earth Wind and Fire. My song "Sometimes a Whisper" (Crossley, Dilugi, Tough) was recently cut by the chart topping Australian country band, Route 33. I co-wrote and produced the latest nationwide jingle for Mattress Warehouse with the amazing Nate Strasser. My song "By Your Side" (Busch/Tough) was featured in the indie film Wanderlust. Austrialian artist Ashie Noie released two of my songs "Gonna Outrun a Heartache" and "Every Single Sunset". Both songs charted in Top 40 of AU Country Radio. The Swiss country band Seven Loons recorded and released my songs "Living In Hillbilly Hollywood", "Got a Restless Heart", "Big Ole Wheels". "I Love Em All" (Folensbee, Tough) was placed in the gritty crime thriller movie Thumper, starring Lena Headey. The movie premiered at the Tribeca Film Festival in NYC and is now set for distribution. I have filmed several new episodes of the Producer's Room with Dave Tough which can be viewed here. I gave a couple of personal interviews for podcasts found here and here. "Hillbilly Hollywood" (Tough, Dohnal) was used on the CBS television show Limitless. 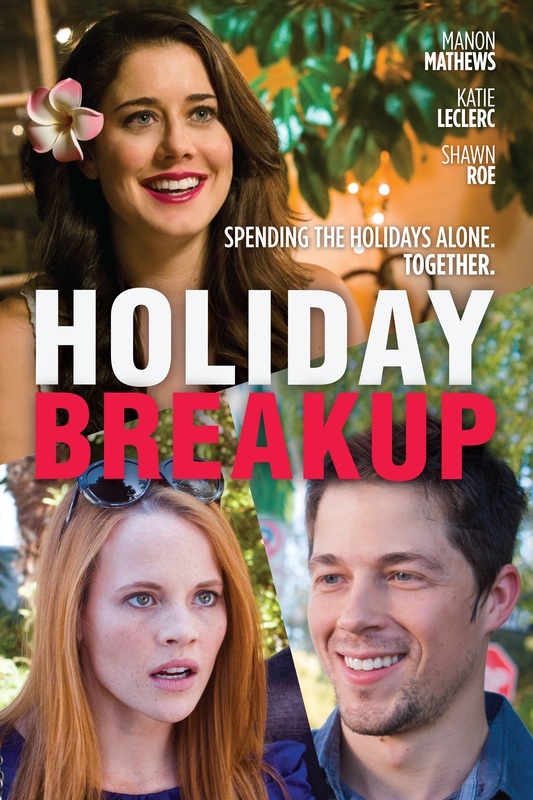 "By Your Side" (Busch, Tough) featured the indie film Holiday Breakup. Two songs I wrote and produced “Because of You” and “Sweet Remedy” received prominent features in the movie "Return of the Prodigal Son" Tocata Films, LLC. My song "Right By Your Side" (Busch/Tough) was featured in the movie Shake Off the World. Las Vegas country artist Siana King recorded 2 of my songs "Brownsville" and"Country Boy". "Last Recorded Summer"(Barber, Moore, Tough) was featured in the movie in Stained Glass Rainbows . "I Love Em All" (Folensbee, Tough) was placed in a new CBS summer show called Braindead (Ep 102). My song "Gonna Find My Way to You" (Busch/Tough) was placed as the intro song on the Hallmark Channel Movie "Summer Love". "Lets Get Together " (Busch, Tough) was featured on the Showtime TV show Shameless Episode 603. Artist Amanda Lamb cut "Barefoot" (Lamb, Tough) and released a music video for the song. 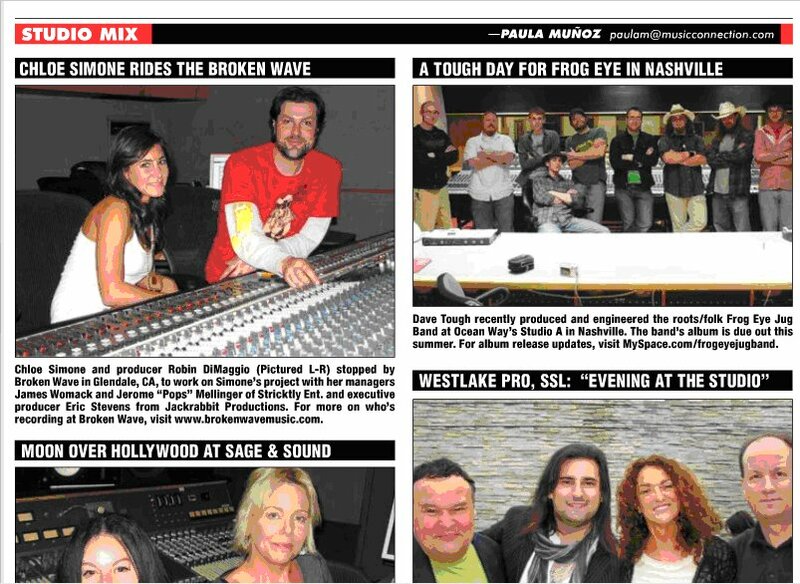 I mastered Melanie Mozer's album "Vices"
I participated as panelist in July's Music City Commercial Music Extravaganza. 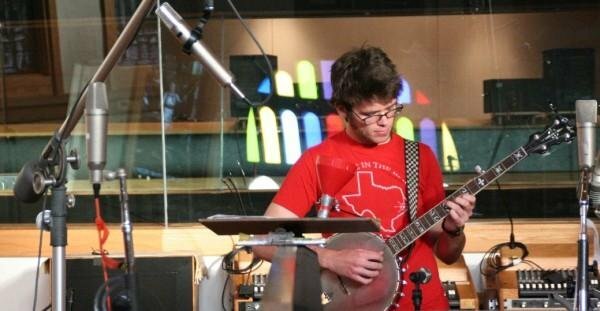 I also recorded and mixed one song for each ensemble: Sam Frazee with the Centennial Community Jam Band Rockzone and Centennial Community Jam Band. I engineered five songs on Seth Timb’s “New Personal Record” Heres an excerpt from the Nashville Scene. Artist Zoe Alexander cut "Another Night Like this" (Fagan, Dane, Tough). NCIS Los Angeles featured my song "Christmas Cheer" (Dohnal, Tough) in Episode 711 during the holidays. I won a GMA Covenant Award (Dove Award) for my production, mixing and engineering on the song “Rise Again”. The composition features aboriginal artist Treneta Bowden and was written by Sean Spicer and Bowden. My songs "I Want a Story", "5th of July" and "Looks Like Rain" will be in the movie Breaking Legs directed by Mark Marchillo and starring Chris Kattan. My song "By Your Side" (Busch/Tough) is being used as a main character theme in the Brazilian show Alto Astral. The same song is also being used in the film Shake Off The World. My song "Lets Ride" (Dilugi, Moore, Tough) was featured on the Discovery channel's "Expedition Unknown" Episode 204 "Hunting Vampires". The Mike Hernadez Band cut my song "If It Don’t Twang" (Dilugi, Tough). 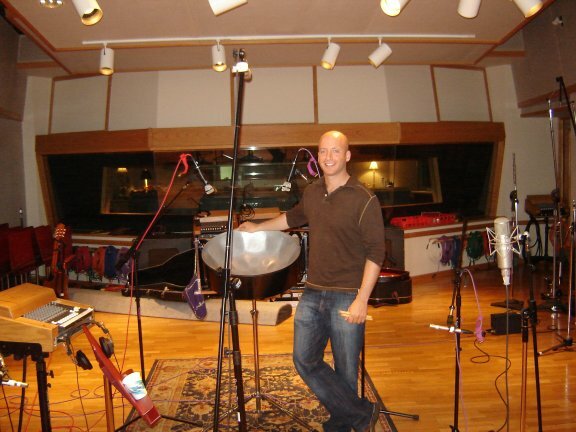 Great time at Columbia Studio A recording the CUMC Choir. Thanks to Scott Gerow, Anne Burnette Hook, Brady Spencer, Jon Calvin, Alex Loft, Keller Medlin, and Anthony Scott for making this happen! "Lets Get Crazy" (Folenbee, Garner, Tough) was be featured on the new TV show "Blood and Oil " on the ABC Network, Pilot Episode. "Lets Get Together " (Busch, Tough) was featured on the TV show "Odd Mom Out " on the Bravo Network, Episode 103. New episodes of our show "The Producers Room with Dave Tough" are now live. Check them out here and subscribe to our youtube channel for future videos! I mixed and mastered the complete orchestral score (composed by Nate Strasser) for the animated short The Healing Tree directed by Francis E. Chang. Inspired by Shel Silverstein's "The Giving Tree," a sick child befriends a magical tree that nurtures her over the years of her life. Look for the release soon! I wrote and produced/mixed a portion of the score for the film This Old Machine, directed by Brad Garris. Look for the release soon! 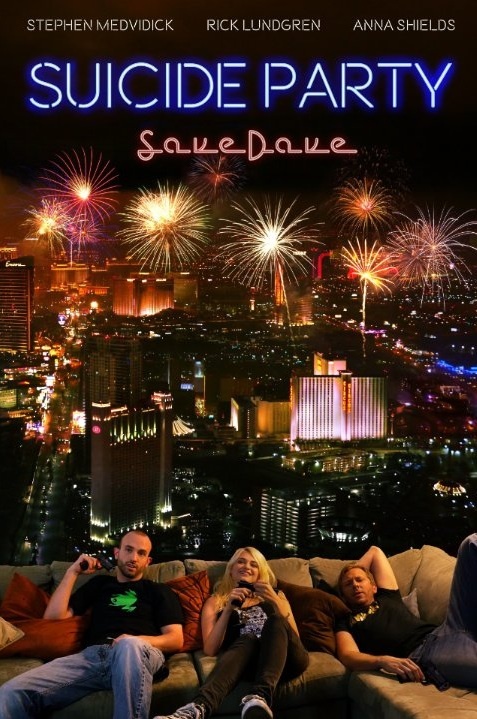 My song "Vegas Baby" (Anderton, Tough) was used in the new movie Suicide Party directed by Jack Skyyler. Look for the release soon! "Lets Get Crazy" (Folenbee, Garner, Tough) was featured on the TV show "Stalker" on the CBS Network, Episode 119. Jamie Campbell and The Redneck Romeos released my song Nothing Sweet About Alabama (Dilugi, Stern, Tough) on their new self-titled CD. Nothing Sweet About Alabama (Dilugi, Stern, Tough) was also featured in an episode of Lizard Lick Towing on TruTV. Still tracking that episode # down! Austrialian recording artist Missy Lancaster released my song A Story (Busch, Tough) on her newest album "Til I Figure It Out." My band Xavier and Ophelia won runner up in Indaba's sync contest for our song "I Need Money"
Tracked a 10+ song album for hip hop artist Jace Webb , a 3-song release for guitarst Sean Spicer, and a 5-song release for the the John Armstrong Band. Looking forward to the releases coming out! "Pretty Mama"(Folensbee, Garner, Tough) was featured on Episode 109 of the new FOX television hip hop drama "Empire". The show's executive music supervisor is Timbaland! "Summer Fun", a song I wrote with the band Daydream Catapult will be featured in ABC's "American Crime"
"Lets Get Crazy" (written, produced and engineered with Jason Garner and Tre Houston) featured on the show "Glee" on the Fox Network, Episode 607. 2/3/15 - Xavier and Ophelias song "Falling Down" (Foster, Moore, Tough) will be featured on ABCs Show Pretty Little Liars. The song features my lovely and talented wife DeAnna on vocals! 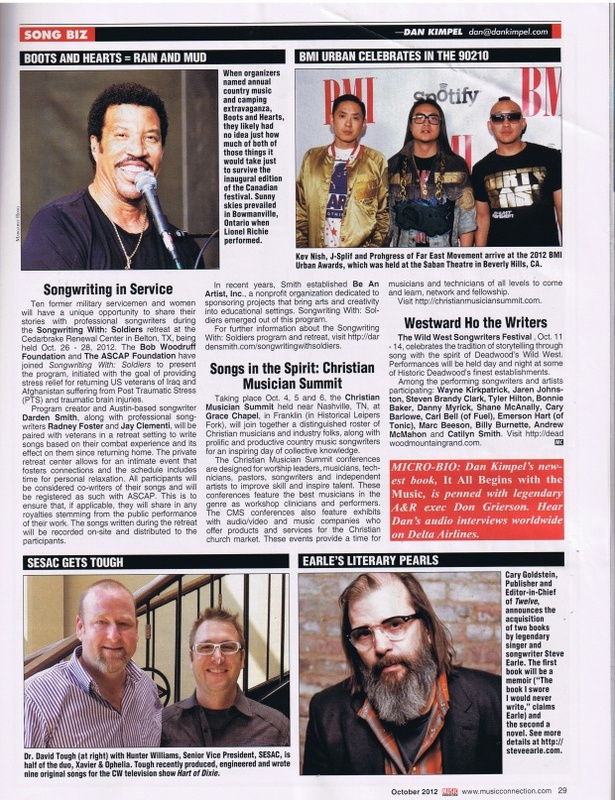 I was featured in the February 2014 issue of Music Connection magazine. My song, "A Story" to be cut and released by Australian artist Missy Lancaster! The Swiss band Nada Cowboys are in the studio recording three of my songs for their next release. A random photo from NAMM 2015! 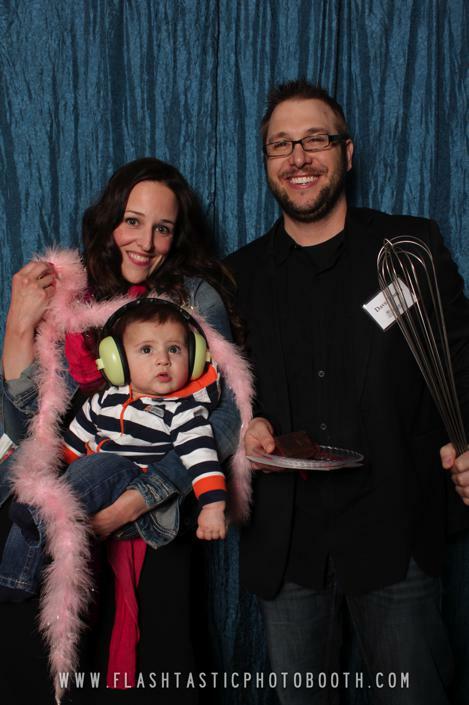 Heres a family shot from 2014! 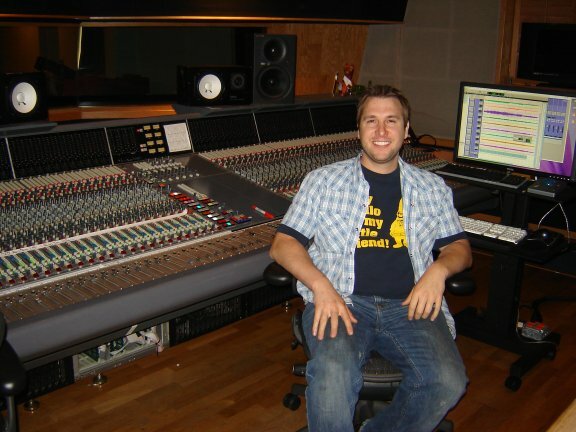 After 10 years teaching at Belmont University I was promoted to Associate Professor of Audio Engineering Technology and granted tenure. Thanks to all involved for your continued support. 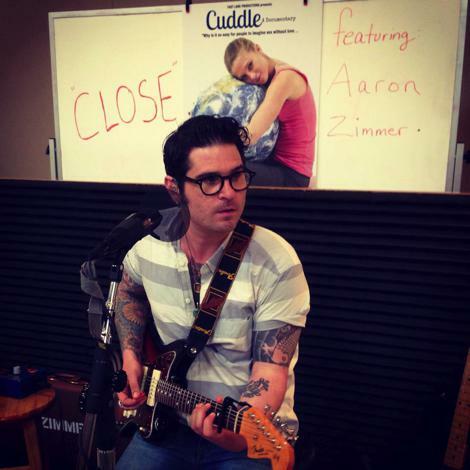 I produced and engineered (and played keys on) the theme song "Close" for the new documentary film Cuddle which was featured at Alanta’s Y'allywood Film Festival 2014. Check it out! 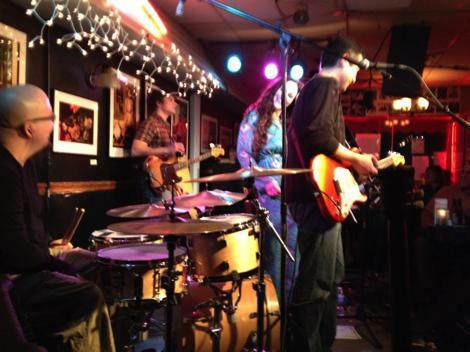 My original band, Xavier & Ophelia, with my wife DeAnna played a full band show in February at the Bluebird Cafe. Heres a snapshot! 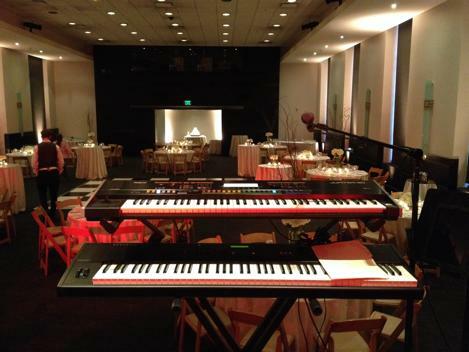 and then there was the 25+ corporate parties and weddings I played in 2014. Heres a shot from my keys rig! 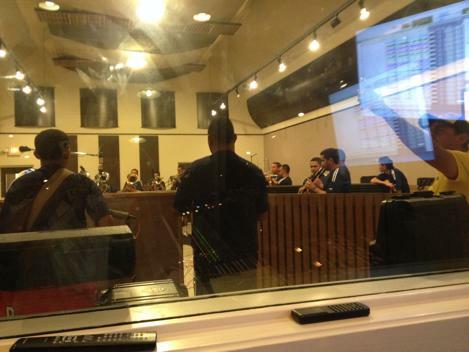 Summer 2014--I taught some very talented high schoolers from across the world at Grammy Camp 2014. Artist Jeff Dane (the Lost Trailers) cut my song "Apple Pie Moonshine". Arist Chris Hawkey released my song "The Underdog" on his latest self-title release. Artist Sarah Dunn Band released my song "What You Started" on her newest album "You or the Whiskey." Local Ohio artist, Gypsy Stone Band, cut my songs "Brownsville" and "Country Boy"
Xavier & Ophelia wrote and produced a song gratis (the ABC song) for the Early Childhood & Family Development Community Partnership of the Ozarks for their educational CD to give out to all kindergarden-age children across Southwest Missouri. 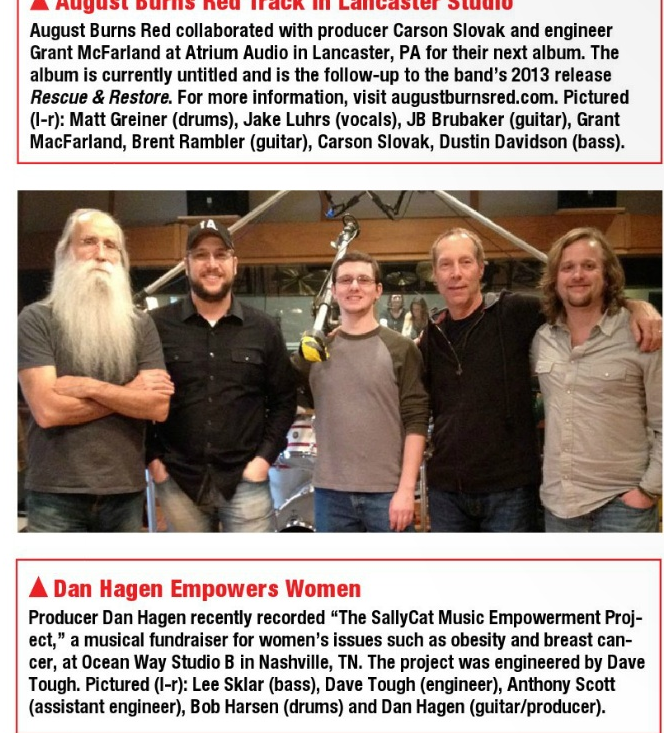 I recorded Dan Hagen, Lee Sklar, Bob Harsen and SallyCat at Ocean Way in December for the The SallyCat Music Empowerment Project, a musical fundraiser for women's issues such as obesity and breast cancer. The biggest news of all year! I am now a Dad! DeAnna and I welcomed Dylan Spencer Taylor Tough into the world on October 3rd, 2013. He is my new best friend! I was nominated for a Dove Award in Canada (they call them Covenant Awards) for Instrumental Song of the Year. This nomination was for a song I produced and engineered for guitarist/artist Sean Spicer titled "Comfort and Peace". I finished producing a 10 song CD with country artist Jeff Dane. I also co-write 7 songs on the record and it sounds quite good IMHO. Check it out! Teen country artist Analise Malik cut my song "1000 Things". Click here to watch her cool music video with a marching band! 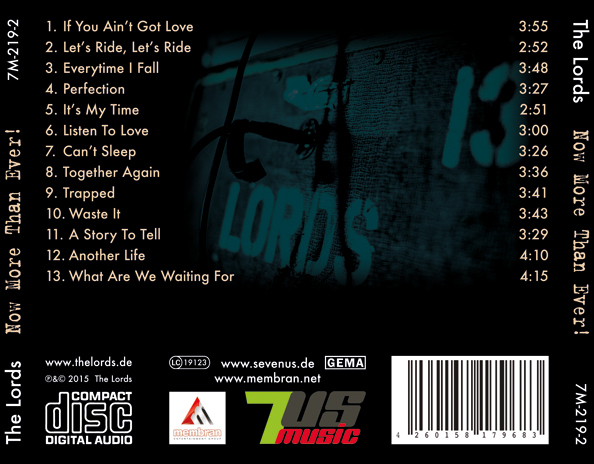 The Lords (famous German band) cut my song "Lets Ride". 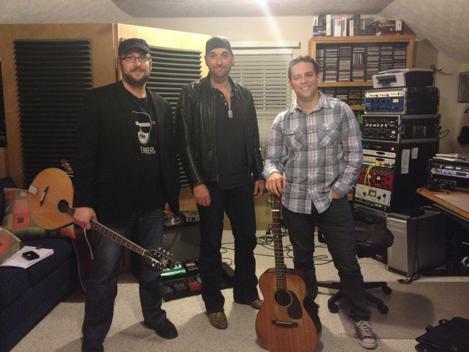 Chris Hawkey cut my song "Underdog". Seleen McAlister, indie aritst in Australia, cut my song "What You Started". 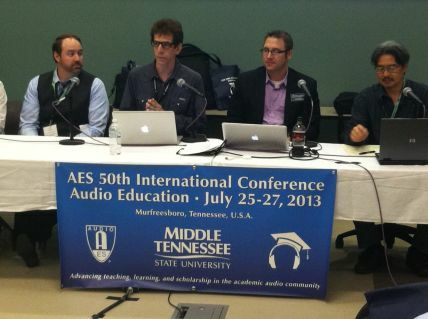 I was on the panel “ Audio Education Report Card” and presented with Kirk Imamura, Chase Trombley, Mark Rubel and Doug Beilmier at the Audio Engineering Society’s 50th International Conference in Murfreesboro, TN July 25-27, 2013 . 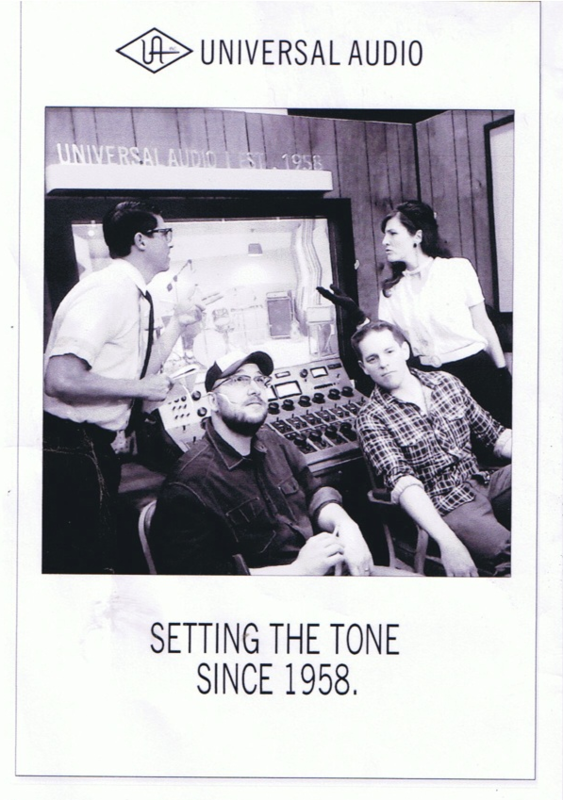 We were also featured on the cover of Pro Sound News! -Xavier & Ophelia's song "Heartbeat" featured on the show "Twisted"
-My song "Hillbilly Hollywood" on the popular show "Nashville"
-Two of my songs "Nothing Sweet About Alabama" and "Passing Train" featured in episodes of new TV series "Alaska Gold Diggers". I completed a study that will be published in the 2014 MEIEA Journal. It analyzes the songwriting and production of current Hot 100 Billboard hits. The article can be read here. I finished writing a book chapter for “The Oxford Handbook of Music and Virtuality” on online recording techniques. The book will be out Summer 2014. The Amercian Music Project interviewed me over the summer. Watch the video here. 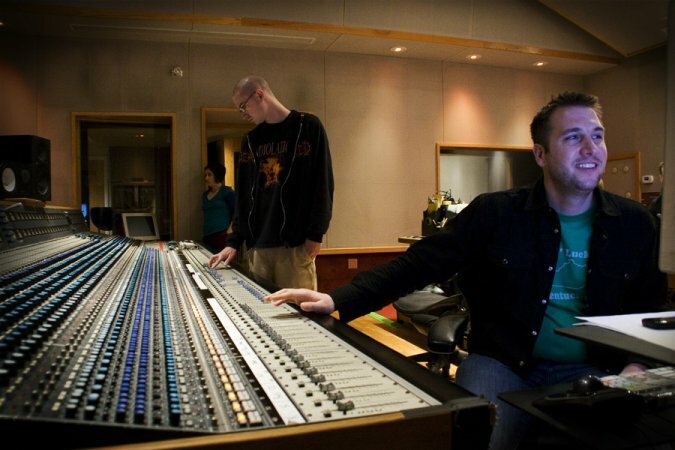 I produced a 3 song record (writing, tracking mixing) for artist Sean Payton. 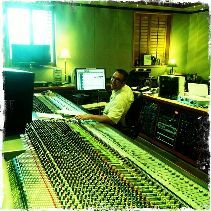 Other projects I have completed in the studio are tracking songs for the Mauldin Brothers, Alyssa Shouse, The Lost Trailers, Bill Diluigi, Rhyme Partners, jazz artist Cheryl Slay and Warren Stratman. Some pictures are below! I engineered the single “It's Goin’ Down Tonight” for the Lost Trailers with Will and Dakota. The song is now charting on country radio. Please request it! Song I produced “Pretty Mama (So Many Girls)” (Folensbee, Garner, Tough) was placed in a new Netflix show called “Hemlock Grove” episode 102. I programmed and recorded for the talented Justin Nault, a Nashville-based artist. "This Moment", a song I produced and co-wrote with Justin Busch, was featured as theme song for Florida Rides cycling DVD by Endurance films. Check it out on youtube here. For the second year in a row my song "Let's Get Crazy" written and produced by Dave Tough feat Belmont alum Tre Houston on vocals has been chosen by Kicker to be a test song for their new iPod iDock. Go into any Sam's Club or CostCo with a Kicker display booth (I understand this to be most of them) and you can hear the song. "Tell Ya That I Love Ya" (Tre Folensbee, Justin Jae Wilson, Dave Tough) featuring artists Tre Houston and Solo Jones was chosen as a semi-finalist in the International Songwriting Competition out of 20,000+ entries! 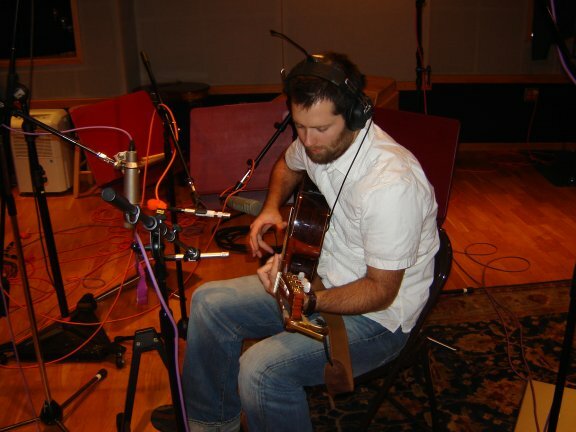 I am cutting vocals for the new album by Brian "Stretch" Mayer, a great artist out of New Bern, North Carolina. New Xavier & Ophelia performance on Music City streaming is now up. I am playing guitar and keys on this one. I finished mastering a project for Anthony Belfiglio entited "Sonoroscope" featuring some stellar players (Anthony Belfiglio, Roy Vogt, Billy Contreras, Danny Gottlieb, Beth Gottlieb, Jonathan Wires and Jeff Kirk). Independent artist Marcus Leary cut my song "My House." "Christmas In The Air", a song I produced and co-wrote with JD Dohnal, was featured on NSAI's 2012 Best of the Holidays CD. Each year the Nashville Songwriter's Association International (NSAI) staff receive thousands of holiday-themed submissions for the project. They review these submissions over Aug and Sept and ultimately include the twelve best songs on their annual compilation. NSAI staff hits the streets of Music Row the following year to hand deliver the project to Music Publishers and Labels for consideration for upcoming projects. The newest Xavier & Ophelia album I produced and wrote with my wife DeAnna is finished. It will be released Dec	18, 2012. I was featured in the October 2012 edition of Music Connection Magazine. Here is a pic	with	my	buddy	Hunter	Williams,	Senior	VP	at SESAC. 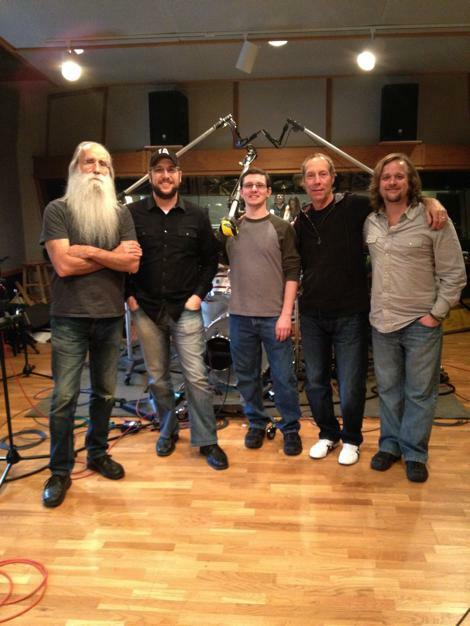 The Ricky G Band cut 2 of my songs for their upcoming debut album... "Hillbilly Hollywood" and "My House". Turns out the band is from my hometown of Springfield, MO. The album will be titled "Hillbilly Hollywood" as well. Watch out for them coming to a town near you! I produced, engineered and wrote and co-wrote 9 songs for the CW's television show "Hart of Dixie", many of them with my lovely wife DeAnna singing and co-writing. The episodes include “Pilot”, “Padres and Pariahs”, In Havoc and Heat", "The Pirate & The Practice", "Aliens and Alias " and "The Big Day". Look for them on the CW! I am wrapping up 8 songs (tracking and overdubs) for the new Xavier & Ophelia EP. 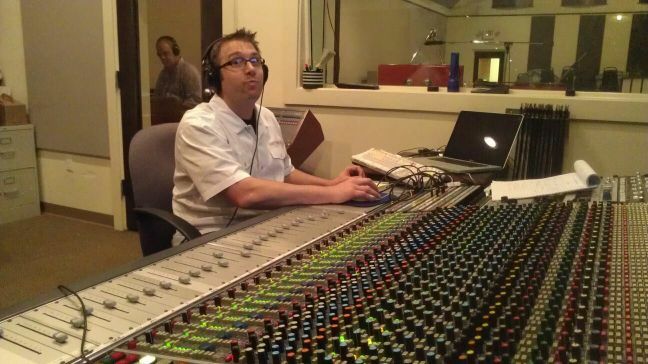 Its going off to mix now to Reid Shippen, Keller Jahner, Drew Adams (Dave Pensado), Ryan States and Brent Paschke. Look for it on iTunes in October 2012! . Wrote 2 songs with Aarthi Kumar that are going to Kent Wells to produce for her upcoming album. I recently was invited to sign on with SESAC. Also the show Dangerous Game on the CBS Sports Network featured my song "Brownsville" for a bull riding scene ;-) Written by Bill Dilugi, Jesse Stern and myself. My 2009 doctoral research (thesis) on teaching Audio Recording is beginning to be cited nationally and internationally! Here is a snippet on youtube. Audrey Ball released a 5 song EP I engineered. My song "Let's Get Crazy" co-written with Jason Garner and Tre Houston is now featured in a retail floor demo for the ikick501 Speaker Docking Station. The song will be one of four that visitors to an audio retailer will be able to listen to, to review the sound quality of the product. My songs (written, tracked and mixed) “Lets Get Crazy”,“Vegas”, “Pretty Mama” placed in Episodes 102-107 of CW reality television series “Remodeled”. I think its about 10 placements but Ill have to watch and count! My song "Six Billion Lonely People" placed as a finalist in the 2012 Songdoor Songwriting Competition. 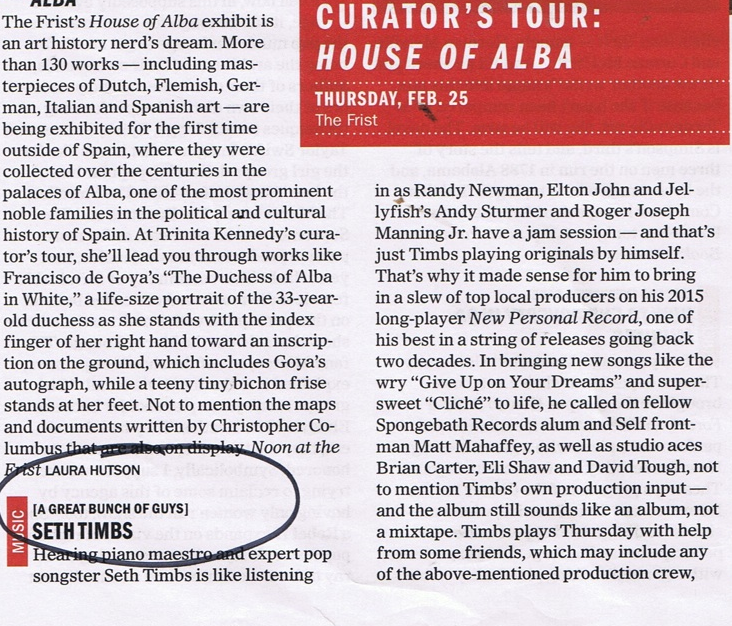 Artist James Lambert cut my song “Underdog”. European country artist Road Dogs cut my song "1000 Things". Artist David Church cut my song "Falling"
Artist Brooke Roe cut a song I wrote with JD Dohnal called "Restless Heart". I finished writing, producing and engineering 3 pop dance songs in the style of Pitbull for Crucial Music. My song "Last Recorded Summer" was a finalist in the UK Songwriting Competition. My song "Lets Ride" aired in the Canadian TV series "Debrah". I finished producing and engineering a bluegrass EP for San Francisco artist Amy Gass. 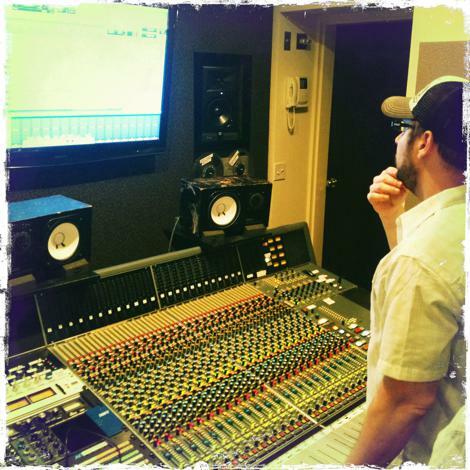 I also engineered a 5 song EP for pop artist Rachel Leigh at Darkhorse Studios in Franklin with Dan Hagen producing. I finished producing and engineering an EP for Brittish country artist Amy Jones. I finished producing and engineering a 10 song record "Love Found Me" for international artist Khylune. He is from London, England and also lives in Malaysia. We produced most of the album over Skype and the internet! I wrote the song "Made To Last" and co-wrote the song "Strange Place" with Khylune. I did an hour interview with Swedish country radio show "Lucky Town". Click here to listen. I cut an EP for German country artist Kirsten Schiebel. 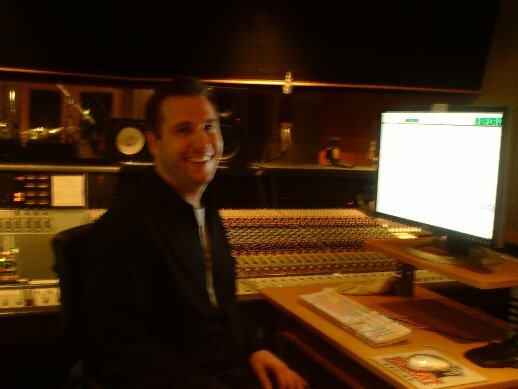 I cut an EP for jazz guitar artist Dan Hagen, my old buddy from North Texas! 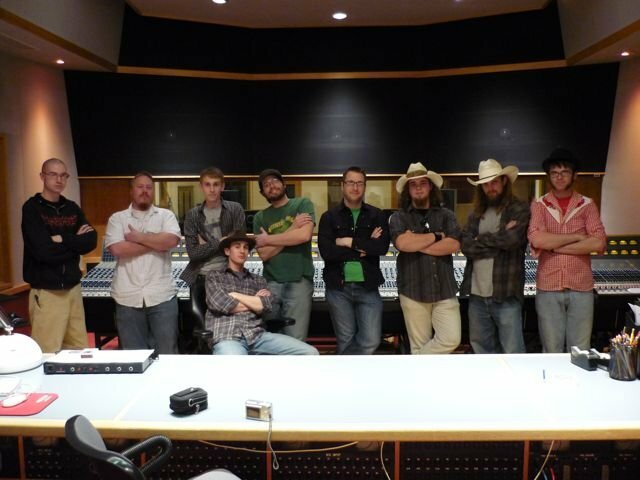 The song demo I produced for the group the Harters back in 2009 is now on national country radio as a master! Compare my demo version with the final masters below. Use your eyes cause they sound darn close! 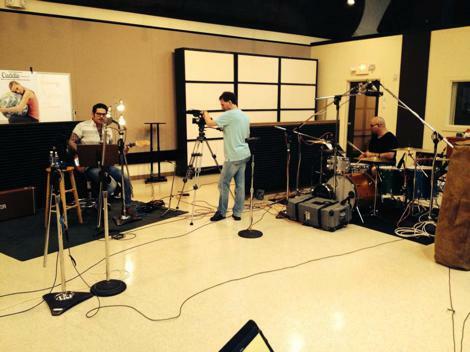 Just finished tracking and producing a 3 song EP for the Nashville band The August. I co-wrote all 3 songs on the EP with the band. I won 2nd place in both the Country and Rock categories in the Indie International Song Contest for my song(s) "Ride That Train (Ode To Rosie Ruiz)" and "Beatles Without John". Click on the picture link below for more information about the contest. In addition to the song contest, I have produced and engineered 3 song demos and EPs for the following great up and coming artists in the last 6 months. Click on their names to download a sample of our final product! I also have co-written songs with several other exceptional developing artists including Jenny Mandell, Ryan Mekkes, Shannon McConnell, Keith Morrison, Cody Sumpter, Kat Elfman, Kaitlyn Jackson, Lucinda Thackery and Kerstin Scheibel in 2010. Two independent Nashville artists (Sherry Lynn and Ashley Lewis) have decided to make my song "So Much More" the title cut on their independent CDs in 2010. Both female artists recorded more of my songs as album cuts as well. In August, my song "Vegas" was featured in the CW series "Plain Jane". I wrote the feature article in the September 2010 issue of Electronic Musician on how to license your music to film and TV. 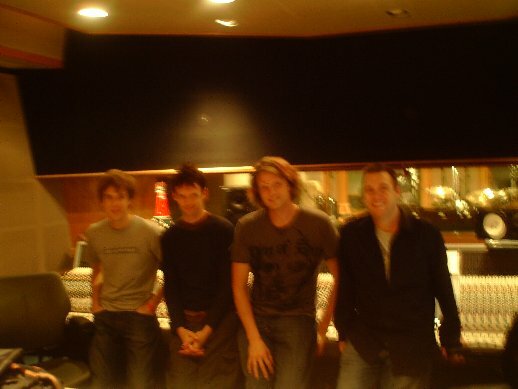 Heres an original song of mine "How We Say It In The Country" co-written with JD Dohnal and Craig Winquist and tracked at Ocean Way Studios in August 2010. 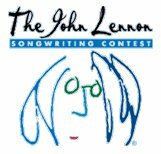 Along with JD Dohnal, I am the grand prize country winner in the John Lennon Songwriting Contest for "Beatles Without John"! Maybe now I can afford some good gear. 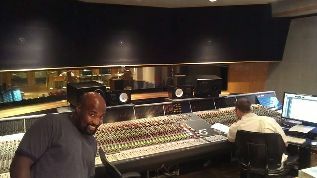 Ocean Way Nashville, Studio A.
Anthony's group was tight. It is nice to record good jazz players with great gear. 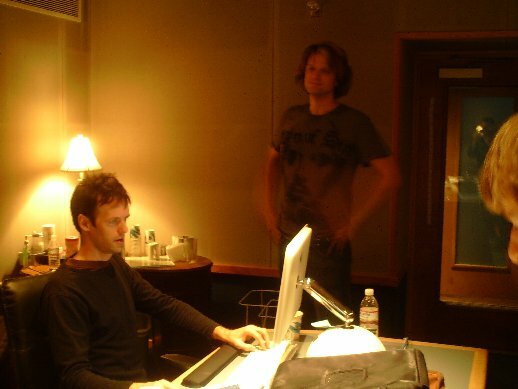 Not real work even…we tracked 12 songs. I mixed the project. Luke Gilfeather mastered it. 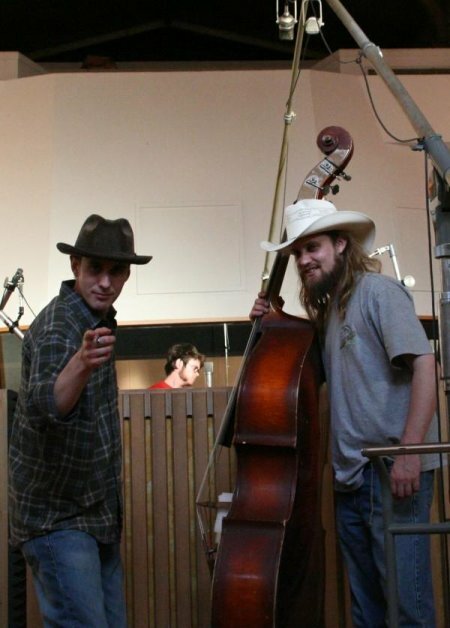 This was a cool session...never got to record a live jug band or a bumblejar before! We cut 14 songs and mixed in 2 days! Paul is a talented young singer songwriter. He reminds me of a mix between Cat Stevens and John Mayer. We cut 5 songs and I mixed them. 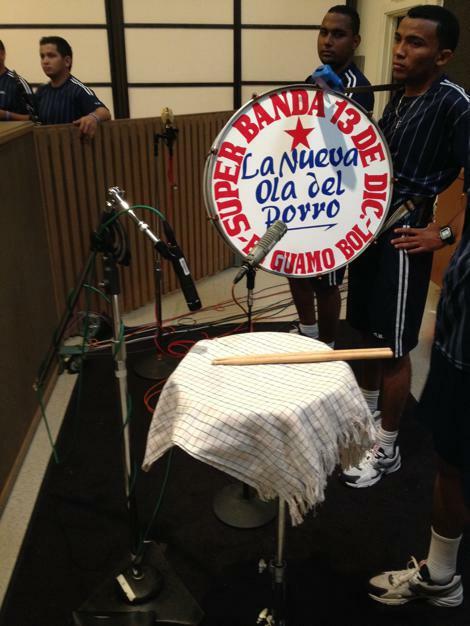 Once again I find myself recording interesting instruments...steel pan and flamenco guitar. Check out some of Yasha's pan work! Cutting drums with artist/amazing guitarist Cameron Morgan and drummer Adam Gust. Check them both out on youtube! 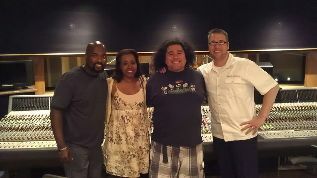 Cutting bgvs with artist Bryan Clark and vocalist/vocal coach Jamie Wigginton. Sound samples here. Sound Samples from Recording here. Amazing players...Jody, Marcus Finnie and Jerry Navarro! Chris is a rockstar. If you dont know his music, go check him out live at the Tin Roof on Saturday nights or the Stage on Sunday nights her in Nashville! 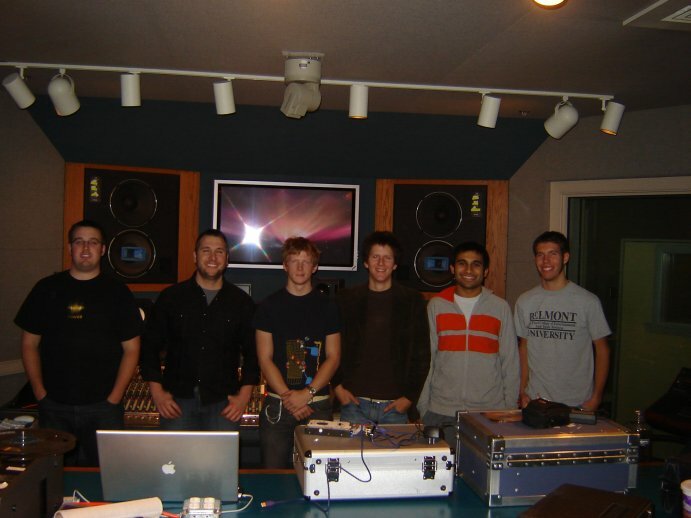 This session was recorded at REMS Studio A, Belmont University. ©2019 Dave Tough Productions. | All rights reserved. Production, Engineering, Songwriting and more!